8.5x11", softbound book (color perfect binding), 228 pages, includes historical material, interviews, photos, and a brand new index that includes every name and place. This work was originally printed as part of a Choctaw and Chickasaw volume in a smaller size format. This new edition contains the original pages, digitally modified for the larger book size and readability. The original pages run in numerical sequence in this reprint, rather than the original out of order sequence found in the original printing and at least one subsequent reprint. 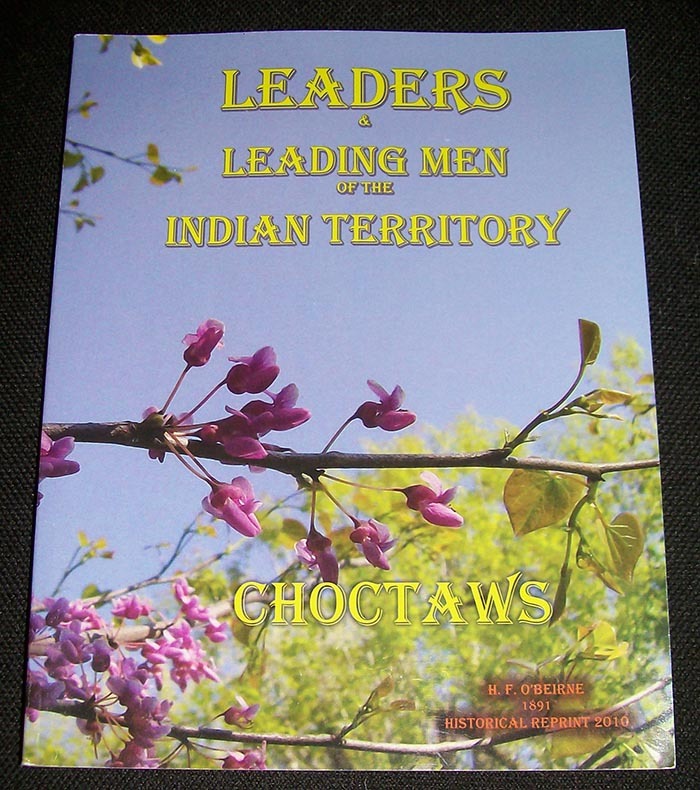 It gives an excellent overview of early life in the Choctaw Nation. Every effort was made to improve the results of any age related discoloration in the original book. The initial page numbering used in the original book was also maintained, even though the format was enlarged for ease of use. The project included numerous hours of photo and manuscript restoration work. This historical reprint, part of a larger project, will bring several long out-of-print books to the public, through the cooperation of the Oklahoma Historical Society and the Muskogee Public Library Genealogy Collection.